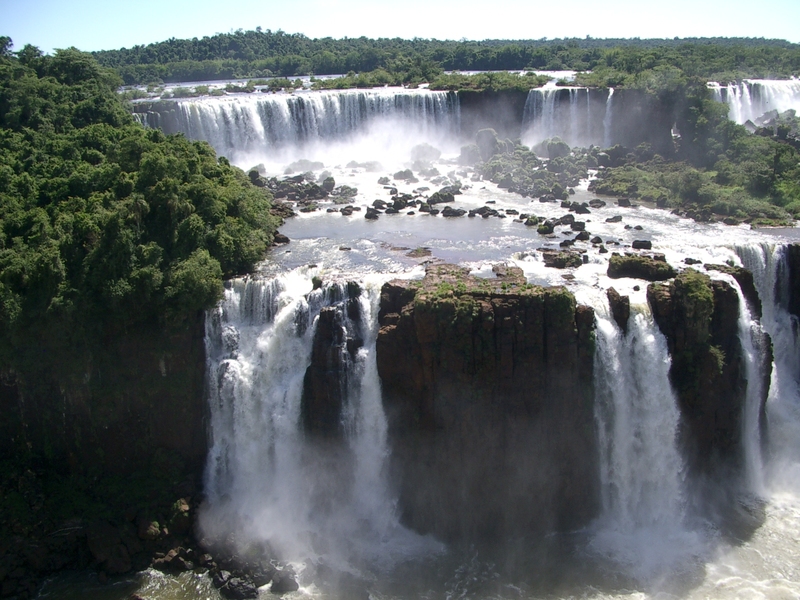 Starting point of the entire route will be the Iguazu Falls, on the border between Brazil and Paraguay. In the famous ‘Devil’s Throat’, the waters of the river Iguazú give life to a spectacle of 275 waterfalls that make the highest point a jump of 70 mt. From there the journey will continue precisely in Paraguay. The route then continues to the south in the Argentine state. The first part of the Argentine section, up to the metropolis of Buenos Aires, runs not far from the Brazilian border, and from the Uruguayan. The capital is a wonderful city that deserves a stay of at least a week, but a few days will be enough to recharge your energy. 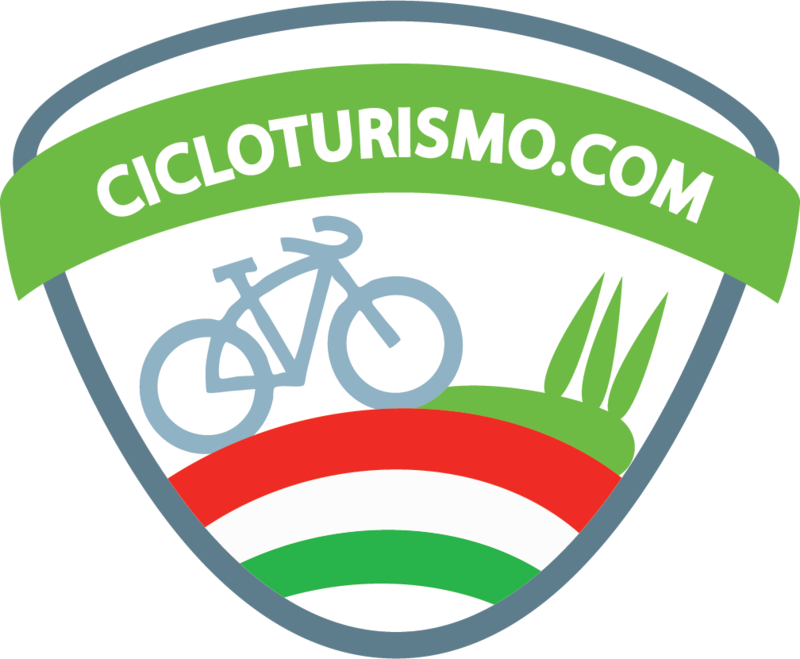 Leaving Buenos Aires, with already more than 1300 kilometers behind, cyclists will aim decided towards the far south of the world through the Argentine Patagonia at a time of final destination: Ushuaia. 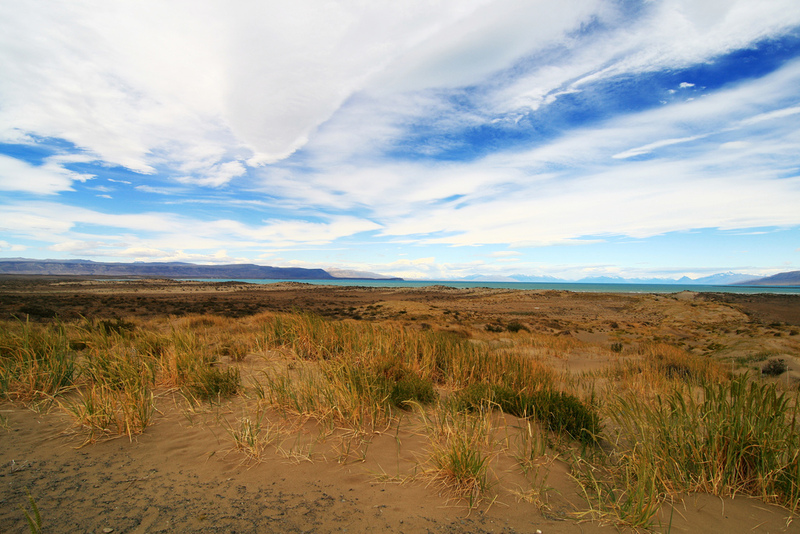 Before you set foot in Tierra del Fuego you will then have to walk a little stretch in Chile. Located on the border between Brazil, Argentina and Paraguay, the Iguazú Falls are an exceptional masterpiece of nature hidden deep in the forest of the famous National Park. At the height of the ‘Devil’s Throat’ Iguazu river gives life to 275 waterfalls, the highest point reaching 70 meters in height. This show is joined by right among the UNESCO World Heritage and one of the seven natural wonders of the world. Inside the Iguazú National Park various adventure trails have been set up that allow you to admire the waterfalls so closely you can hear the roar of the water from inside your body, while remaining in a safe area. The name Iguazu comes from the Guarani words “y” (water) and “guasu” (large). According to the legend of this people the gorge was created by a god, than angry by his beloved getaway with another human, he changed the course of the river. The largest city is the capital city of Argentina, Buenos Aires is the financial center, the port, the most important artistic and tourist location. The city itself itself has about 3 million inhabitants but the metropolitan area of which it heads exceeds 10 million. With much of the population coming from Europe, Buenos Aires is a cosmopolitan, modern and full of attractions. political and religious heart of the city is the Plaza de Mayo, built in 1580, will overlook the National Museum of the Cabildo, the national government and city offices, the largest cathedral and the central bank. 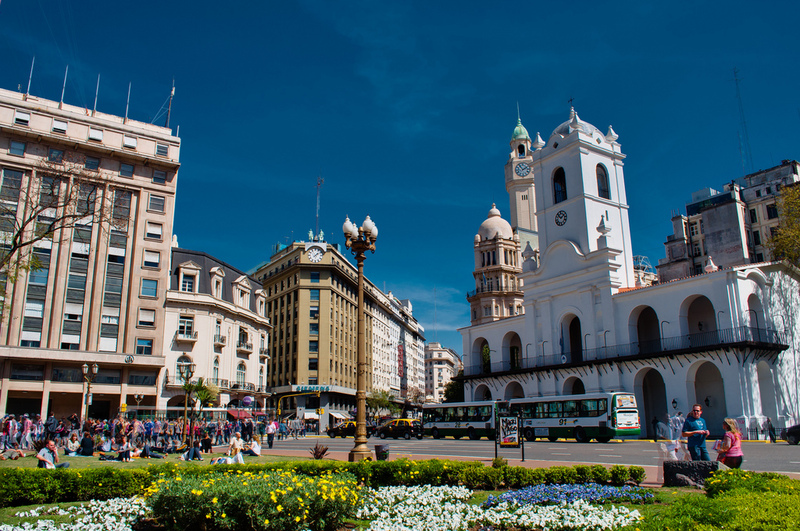 The best way to appreciate the Latin spirit of Buenos Aires is a walk among his most characteristic neighborhoods: San Telmo, the area of market stalls and street performers, La Boca, created in 800 by the Genoese sailors, Retiro, Recoleta and Palermo. Not to be underestimated is the modern Porto Madero area. Huge and wild spaces, windswept and intensely bright, Patagonia has never known the massive human intervention except in small towns scattered in its territory. About 900 thousand square kilometers of steppe plains with panoramic views of the Andes far south of the world, with a population density of only 2 inhabitants per square km. The region can be divided into two main areas: the western side, where the long mountain range of the Andes with lakes, glaciers and forests and the eastern side, characterized by vast semi-desert plateaus that come to the Atlantic Ocean. Patagonia is also part of the Argentine province of Tierra del Fuego, the closest to the Antarctic Circle. In this unique area live some uniques species of animals and therefore protected: is the case of the Andean condor, the Magellanic penguins, the guanasco and Patagonian fox. 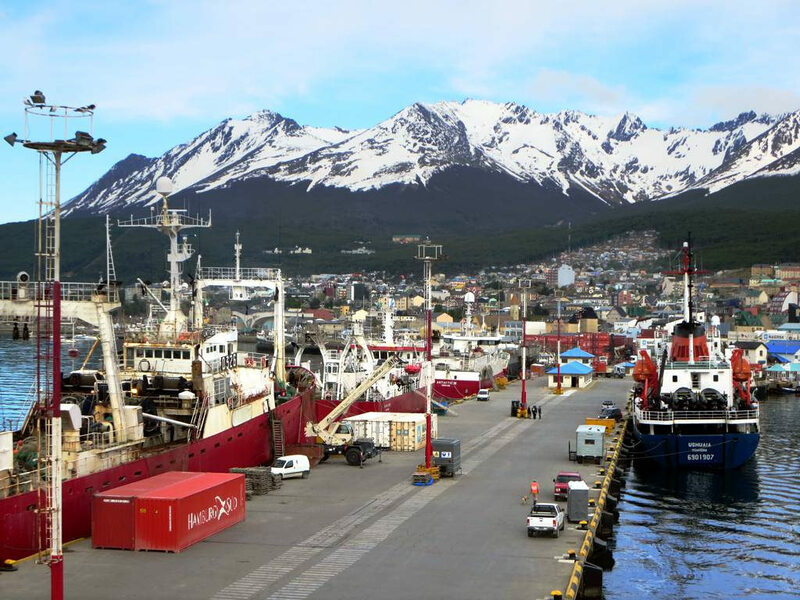 Capital of the province of Tierra del Fuego, Ushuaia remained more or less uninhabited and unknown to the rest of the world until 1947, before it was used as a maximum security penal colony. It was precisely the prisoners, forced to extend the local climbing path, construct buildings and clearing large areas, to kick off the development of the city. After closing the penitentiary the Argentine government entrusted the construction of the city to an Italian entrepreneur and later many of the workers and technicians involved in the project settled there with their families. The center today is characterized by attractive nineteenth century buildings, pubs, hotels and restaurants where you can taste the local fish specialties. The most fascinating attraction remains, however, the nature: those rocks, those ices and those plants that suggest the atmosphere of “end of the world.” A harsh land, harsh and inhospitable, but fascinating for both locals and tourists who visit it every year.